The Apprenticeship Levy, introduced to help pay for the government’s ambition to deliver 3 million new apprentices by 2020, came into force this month. This means that if your organisation has an annual pay bill of £3m or more, you will have to contribute 0.5% of that total pay bill to government. However, you can get some of this money back through the apprenticeship funding system, which pays for apprenticeship training and assessment for apprentices. The standards for apprenticeships being offered need to be approved by the Department for Education and, where relevant, apprenticeships are being mapped to existing recognised standards of competence, such as professional registration. So if your company offers any one of these four apprenticeships, your apprentices should be eligible to apply for Science Council registration by the time of their end assessment. The main value of registration for these apprentices is that it’s a recognised status beyond their apprenticeship: something that will support their career ongoing. This recognition also extends to your company, as an employer that is delivering a professional apprenticeship experience. 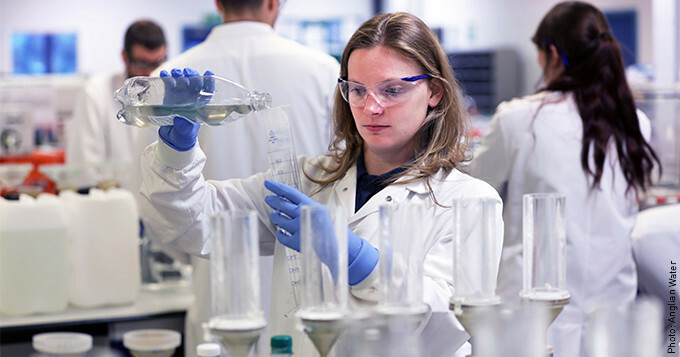 Belinda Phipps, Chief Executive of the Science Council believes that apprenticeships will provide valuable alternative routes to a science career for students that choose something other than a traditional university degree course. If your company offers or is considering setting up an apprenticeship that leads to Science Council registration, get in touch to find out more.